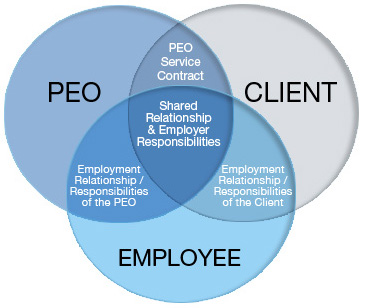 The Professional Employer Organization (PEO) is one of the best-kept secrets of small and medium businesses alike – and for a good reason. A PEO company can handle all of your HR needs and reduce not just the time and effort you put into them, but also cut your expenses significantly. A PEO works by establishing a co-employer relationship with your staff sharing responsibility for specific employer rights and risks. Currently, around 2-3 million of US employees are co-employed by a professional employer organization which processes their wages and handles tax remittance, as well as offers risk management and other HR administrative services. 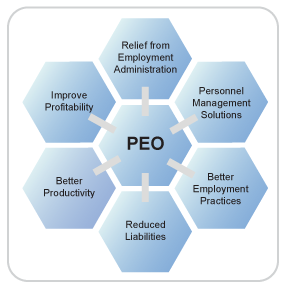 The PEO can manage your entire HR department, including but not limited to payroll and administration, workers’ compensation insurance, employee health and retirement benefits, as well as state and federal compliance issues. This leaves you with more time to focus on your own business – according to Entrepreneur magazine, a business owner will usually spend around 40% of their time managing their employees and human resources issues. In fact, statistics show that businesses employing PEO employee services are 50% less likely to fail mostly because the business owner does not need to divide their time and attention between actually running their company and managing their workers. Additionally, as PEOs usually manage thousands of employees, they also have access to insurance and benefits plan at lower prices. This enables them to offer you better deals and higher quality retirement or health plans for only a fraction of the price you will otherwise spend. In turn, this helps attract and retain more skilled employees. Since 2010, small businesses with a professional employer organization have seen a nearly 10% higher employment growth, and 10-14% lower employee turnover than the national average. If you’re a small business owner, hiring a PEO can also give you access to 401(k) plans which wouldn’t be available otherwise. What’s more, PEO employee services also possess a kind of up-to-date compliance knowledge that most business owners lack. If you’re running your own business, it might be difficult to stay up-to-date with all the changes in terms of insurance and compensation but as professional employer organizations’ primary focus is on human resources, they can stay current on these topics and ensure full compliance. In this sense, a professional employer organization is just what your business needs in order to make the first steps on the path to success. Saving you time and money, the PEO will handle all of your HR needs leaving you with the opportunity to focus your undivided attention on the thing that matters most: running your business.